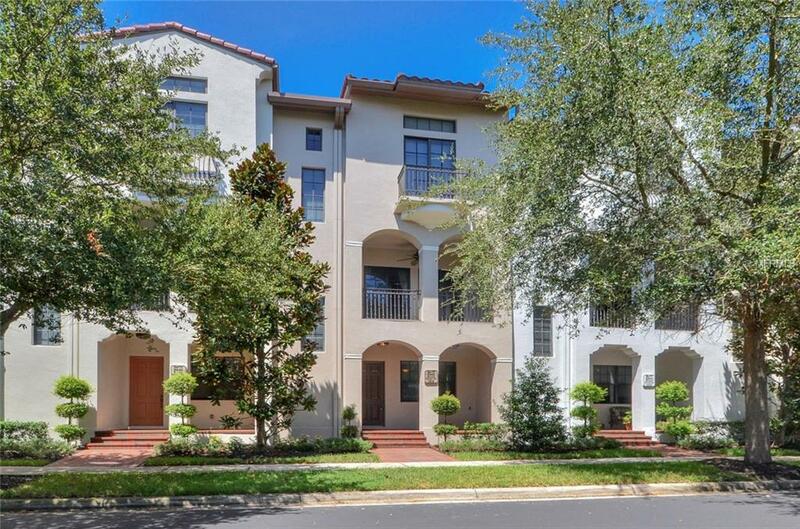 Westshore Yacht Club 3 story "Anderson" model townhouse with direct access 2 car garage. 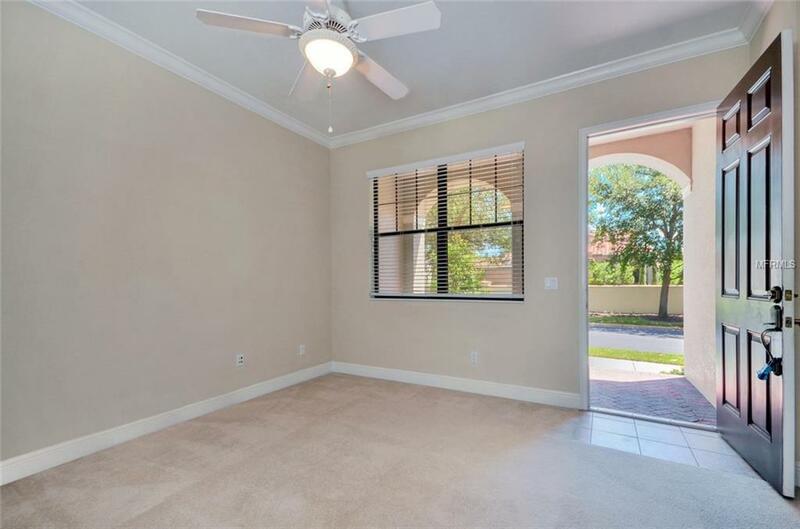 The home is in immaculate condition throughout and filled with natural sunlight. The first floor features the perfect den or at home office plus a lovely covered front porch. 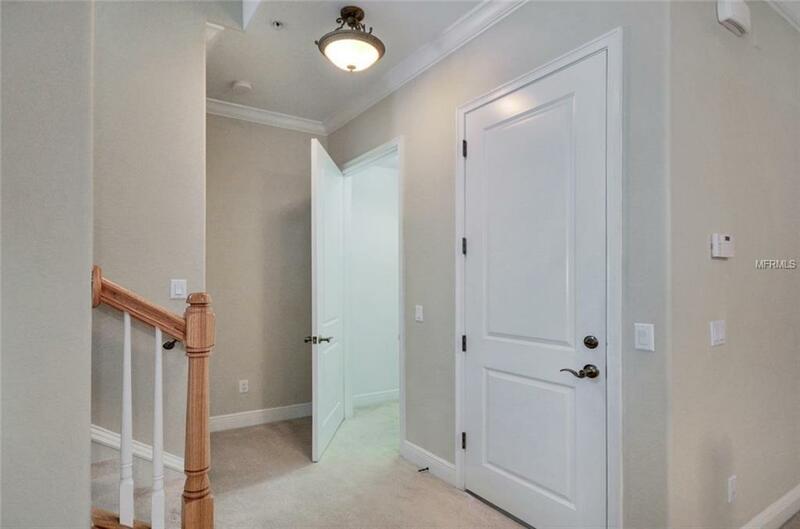 Second level living, dining and kitchen offer 9 Ft ceilings, crown molding and half bath for guests. The open concept living room has double sliding glass doors with access to the spacious balcony for entertaining and relaxing. Spectacular gourmet chefs kitchen with granite counter tops, raised panel cabinetry, breakfast bar and Kitchen Aid stainless steel appliances. The third floor master bedroom suite has 12 ft ceilings, double closets, a Juliet balcony, en suite bathroom with dual granite vanities, linen closet and glass enclosed tiled shower. The spacious second bedroom also includes a full bathroom, large closet and adjacent laundry room. Energy efficient 2 zoned a/c and heat system! Enjoy maintenance free living with an abundance of amenities .Westshore Yacht Club is a 24 hr guard gated waterfront community that boasts a 149-slip marina, members only Bay Club, 2 heated swimming pools, 24 hr access fitness center, Day Spa, indoor dining room and casual poolside dining, community park with playground, dog park and exciting social events. 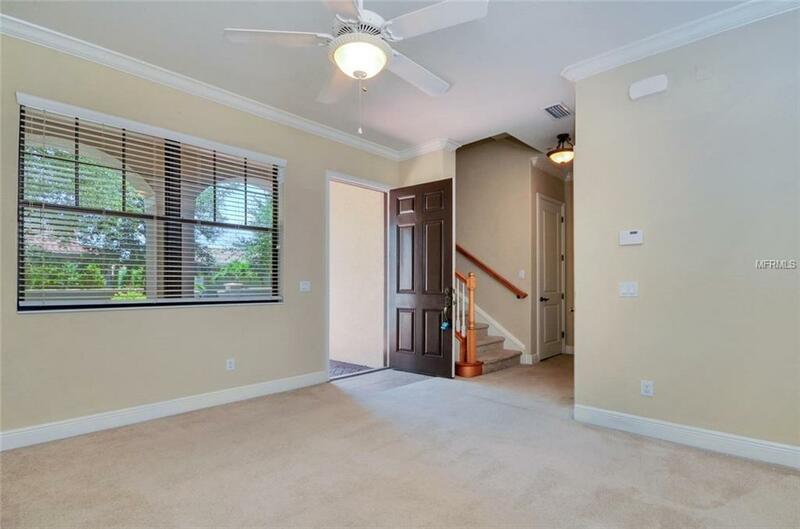 Convenient to all Gulf Coast beaches, downtown Tampa and St Petersburg, Tampa International airport, fine dining and shopping.Perfect for investment rental with positive cash flow!. Amenities Additional Fees Bay Club Membership Required For All Owners $2453 Semi-Annully.